At an age where children live for playing, singing, and having fun, they also have the amazing ability to develop natural and beautiful English pronunciation. 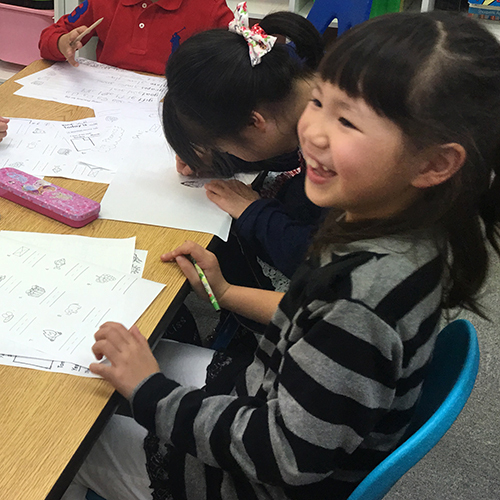 In our kindergarten class, our students learn to master the foundational skills of English; the alphabet, writing, phonics, and listening skills. 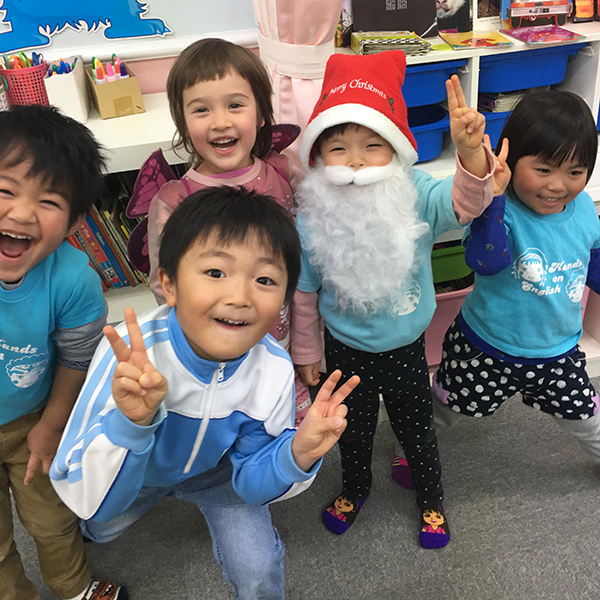 At an age where children can pick up and remember English naturally as a second language, this class provides a strong foundation for them to continue to develop their "second language" in their life. 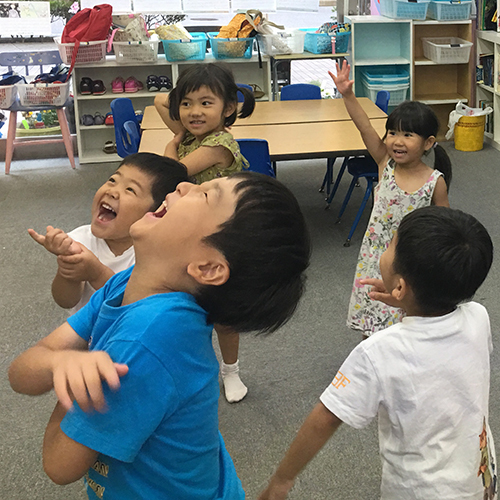 Moreover, it is a fun and active class, with lots of moving around, singing, dancing, play activities, and games. Kindergarten students are said to have short attention spans, but they also love to continually repeat interesting and fun activities. We try to incorporate themes that are authentic and meaningful to them, such as "Friends" at the beginning of a new semester to learn how to make new friends in the class. We also begin learning writing skills in this class. It is a difficult and long process, but it is fun to see our students proudly writing the letters they have learned. Acquiring strong writing skills at a young age will gave them a boost in their writing and reading capabilities in the future. When children are engaged and interested, they shine with genuine curiosity and joy. Our teachers love to hear the students shout "Again!" while learning something new.